I just realized I've got class tonight. I'm out. It was a good turn out. Now I am looking forward to the next one. It was nice meeting everyone. I look forward to the next one. @TREX600, sorry you couldn't make it, we missed you. It was great meeting all you guys, looking forward to meeting more two wheel warriors at the future ones. Anyone riding over HWY 20 pass when they open it let me know so I can tag along possibly. I rode it yesterday up to the gate. It was beautiful. Nice turnout. Sorry I missed it. Tuesdays are a no go for me, kids have soccer practice. 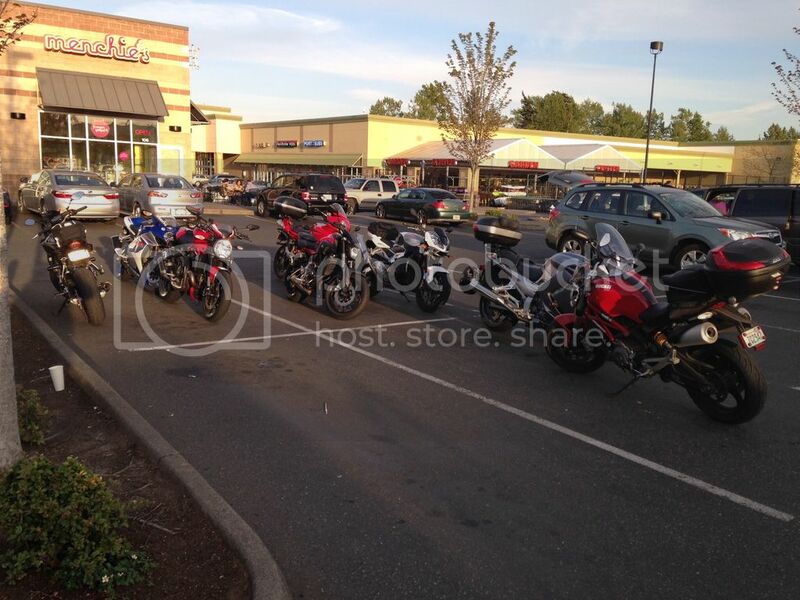 Keep the bike nights going, they will get bigger and better. We went to the Snoop Dogg Party at the Ferry Terminal. Tuesdays are no go for us too.